Several political parties of the Northeast are having a crucial meeting in Guwahati on Tuesday to discuss the contentious Citizenship (Amendment) Bill, 2016 and its fall out. 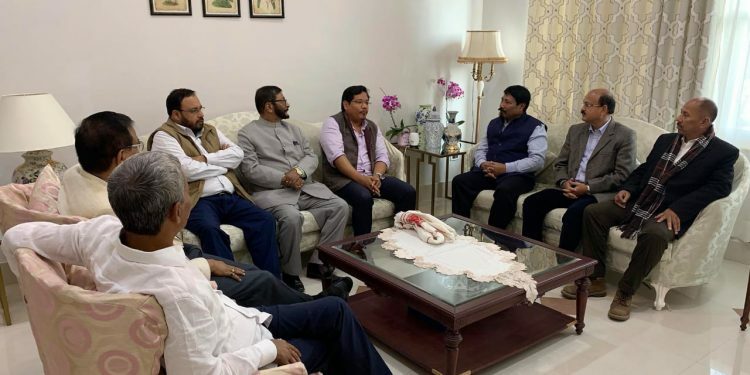 This, however, has created much discomfort for the Bharatiya Janata Party (BJP) as most of the political parties joining the meet in Guwahati are constituents of the NDA. As the protest against Citizenship (Amendment) Bill, 2016 has spread it from Assam to the other north-eastern states and with Mizoram going to the extreme, the meeting assumed great significance. Parties that will attend the meeting include Mizo National Front (MNF) headed by Mizoram Chief Minister Zoramthanga, National Democratic People’s Party (NDPP) headed by Nagaland Chief Minister Neiphiu Rio, Indigenous People’s Front of Tripura (IPFT), which is in alliance with the BJP in Tripura, Sikkim Democratic Front led by Sikkim Chief Minister Pawan Chamling and NPP units of Arunachal Pradesh, Nagaland and Manipur. A delegation of Janata Dal-United (JD-U) led by its party general secretary K C Tyagi which is in Guwahati and the party’s national vice-president will also be present in the meeting. All other regional parties which are part of the ruling Meghalaya Democratic Alliance are also joining the meeting. The meeting has been convened by Meghalaya Chief Minister Conrad Sangma.